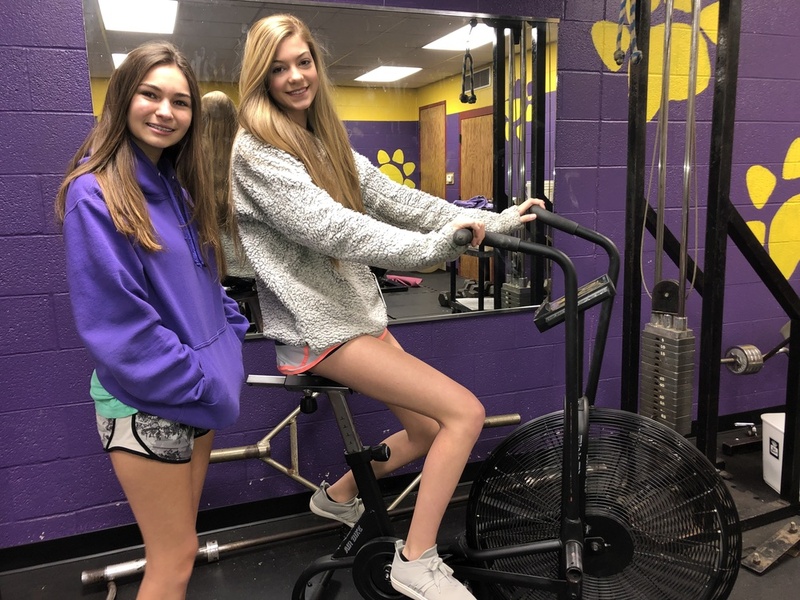 St. Joseph's Athletic Department now has a stationary bicycle in the school gymnasium's weight room thanks to a donation from the Interact Service Club. Freshmen Brooklyn Woodson and River Ferrari are seen alongside the Assault Fitness Airbike. This bike uses air resistance to give a great workout. The faster it goes, the more resistance it provides. The air from the 25-inch steel fan also cools off the rider while they're working out.